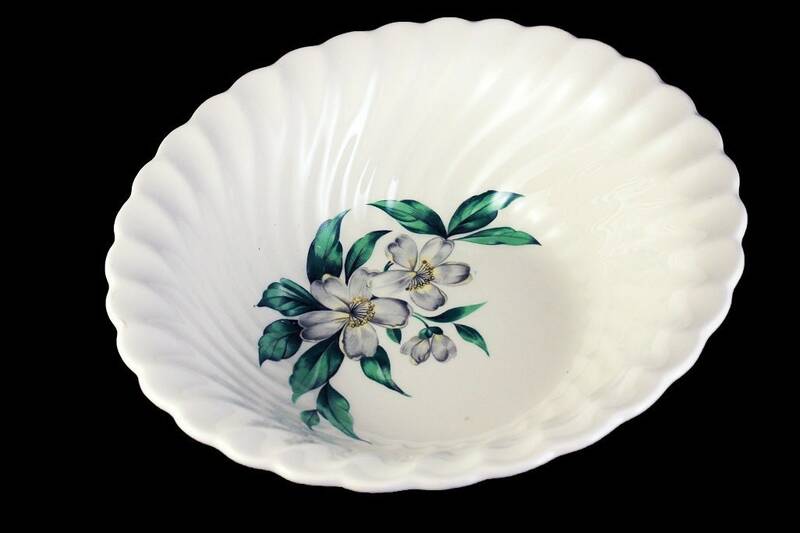 A wonderful vegetable bowl made by Royal China. 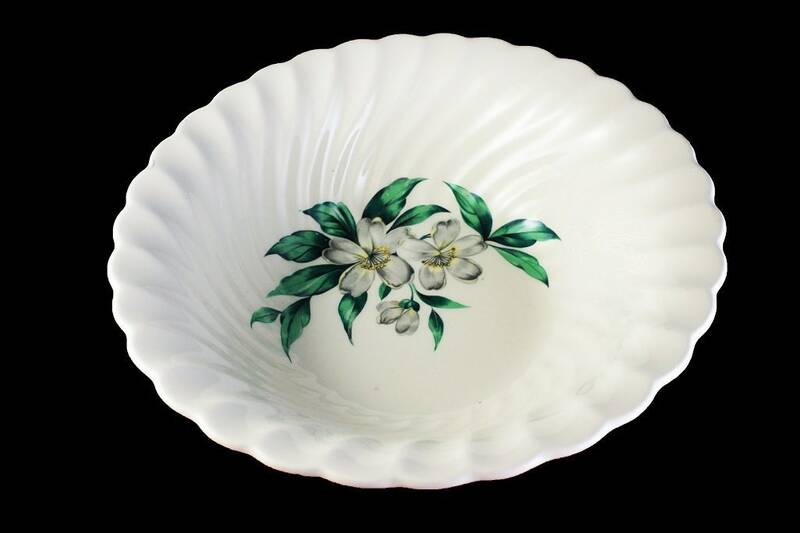 The pattern is called Dogwood and consists of large dogwood flowers in white with green leaves on a white base. This pattern is discontinued. 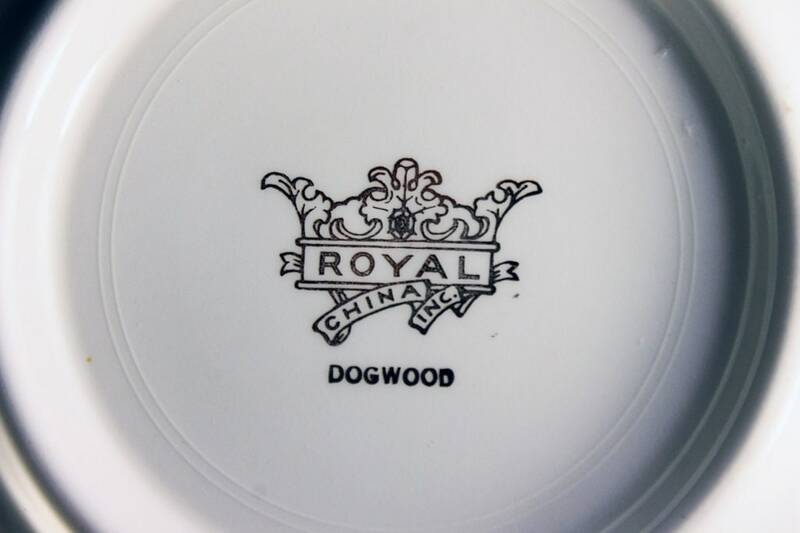 The bowls edges are in a swirl design. 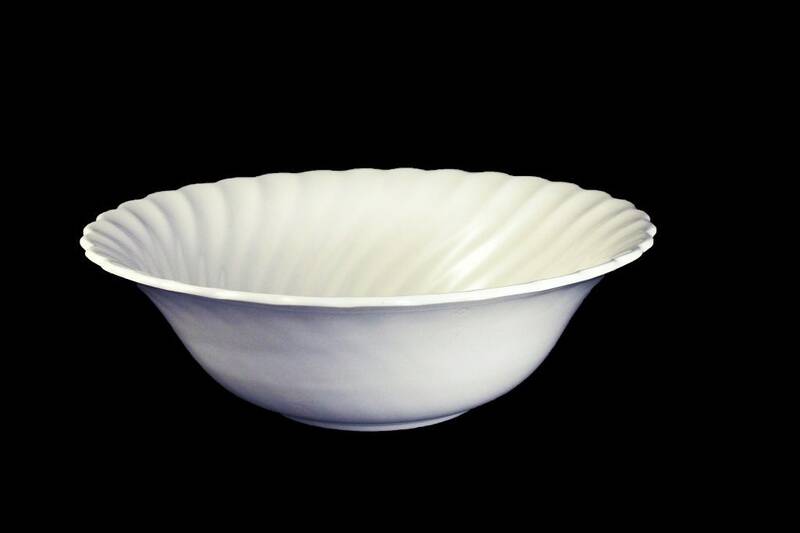 This is a really beautiful bowl and would make a great display piece as well as a useable serving dish. It will be a great way to own a piece of the past. 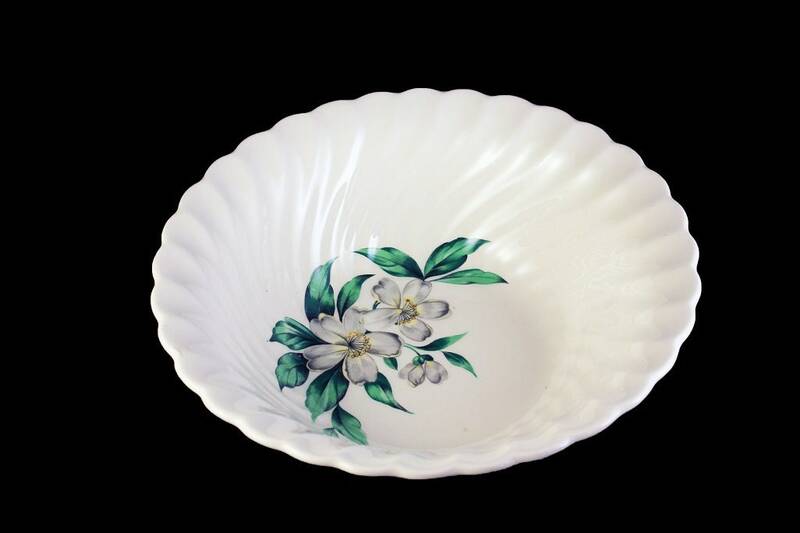 Make a grand statement on any dining table, sideboard, or buffet table with this beautiful bowl that is perfect for entertaining. 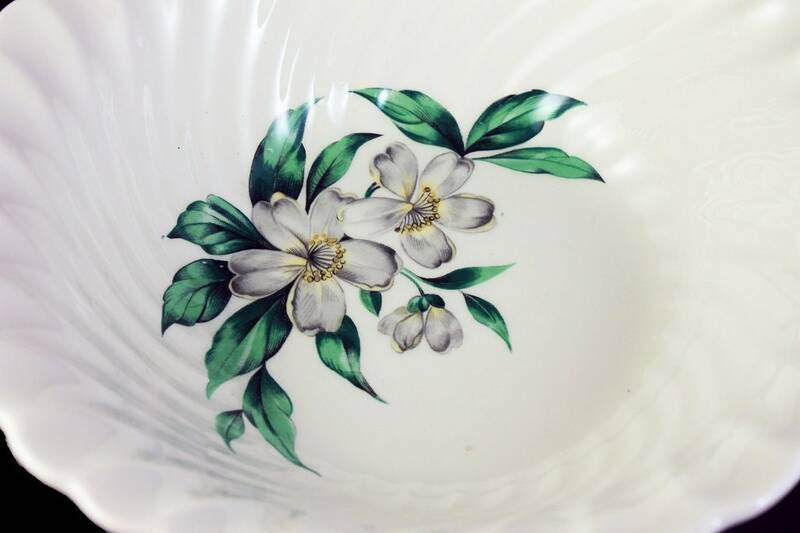 This beautiful bowl is in excellent condition. There are no chips, cracks, or crazing. The bowl has no utensil marks.